The first thing you’ll notice, no doubt, is that things are looking a little different around here; a new look and a real URL. After a couple of years of using the same WordPress theme I decided that it was time for a change. I wanted a more minimal appearance and you can’t do much better than black on white. I still have some tinkering to do as the ‘featured image’ for each post that appears on the home page needs some work which I’m sure you’ll see if you fancy having a browse. I’d be keen to know your thoughts on my adjustments, does this look and work better for you? The visual changes have come at a time when I have been seriously considering my plans for the future. There was a time when I thought I had a pretty good idea of how things should happen while I am in Australia. Initially, the plan was to live and work in Melbourne for six months, spend three months doing either my regional work or travelling the country and the final three doing the other. This is no longer the case. I’m closing in of my fifth month in Melbourne and I currently see myself being here for at least another three. There are a couple of reasons for this; the first and most apparent, I love it here; the second comes down to work. Due to the restrictions on the working holiday visa I can only work for any one employer for six months and I hope to achieve that in my current role. Once I’ve finished my time in employment I will have just enough time to head out into the country to complete my regional work. Some of you are probably thinking “what about all the sights, you’ve hardly seen any of the country? !” Yes, I know and I’m well aware. However, I have had a very valuable conversation with a friend of mine not too long ago on this very subject. Travel is not a cheap hobby. Sure, a lot of people will tell you that you can do it on the cheap, myself included, but there always remains unavoidable costs; accommodation, food and drink, the travel itself. Working is allowing for me to offset some of those costs and to begin saving to provide cover for the future. As it is my intention to obtain a second year visa, it would seem some what irrational to throw away three months of potential earning in favour of big spending. This rings especially true when I could easily do that big spending on a tourist visa in the future. What of the future then? I’m currently looking to meet up with my family this time next year in New Zealand which means it makes an unquestionable amount of sense to remain based in this part of the world. It also means I have a chunk of time between September and February to fill; an opportunity has thus presented itself. South-east Asia is on my doorstep if you consider the metaphorical doormat to be about ten hours wide. I currently believe that five to six months will be ample time to visit the countries and sights that currently appeal to me before taking my furthest steps south. 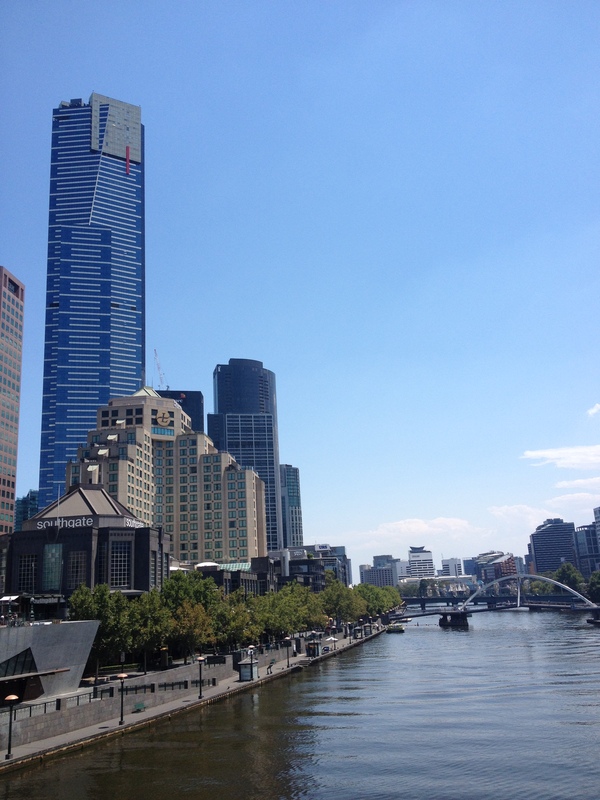 Life in Melbourne goes on and I am continuing to enjoy everything it has to offer. 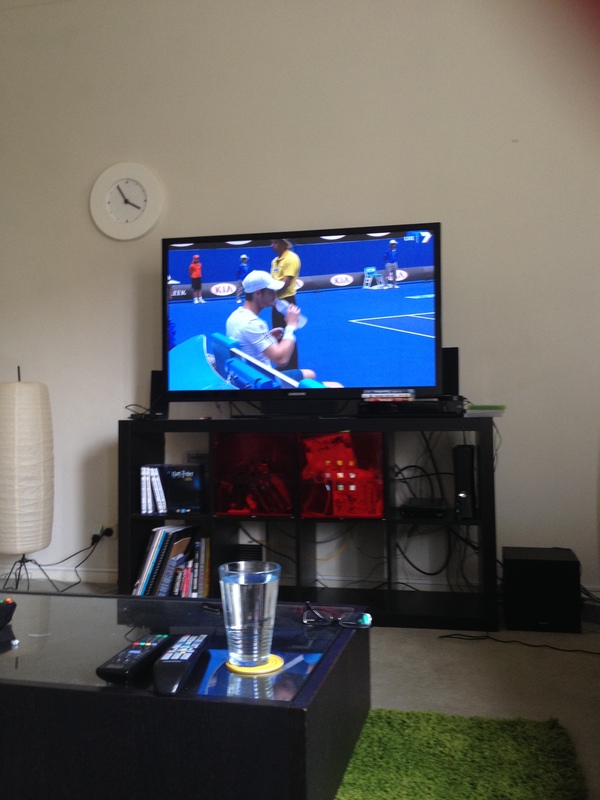 It’s been a very chilled out week; aside from the adjustments and changes to blog and going to work, I’ve spent almost all of my spare time taking in the Australian Open. The tennis has been phenomenal and is just another addition to the list of reasons why Melbourne is regarded as one of the sports capitals of the world. It’s a public holiday tomorrow for Australia Day and the weather is set to be glorious which means I’ll almost certainly be hitting the beach and reminding everybody that it’s Monday. It’s safe to say that the going is very good and I hope that it can remain that way for the remainder of my time in the city.